Eugene Wigner and others have speculated that the “collapse of the state vector” during an observation might be a physically real process so that some modification of current quantum theory would be required to describe the interaction with a conscious observer appropriately. 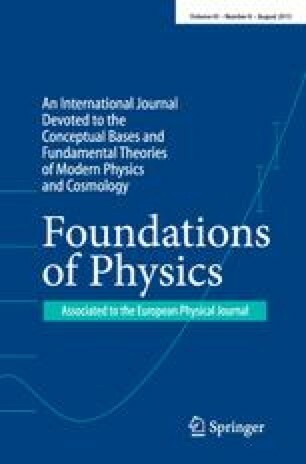 Experimental reports on the “psychokinetic effect” as a mental influence on the outcome of quantum jumps suggest that perhaps this effect might be vital for an understanding of the observer's role in quantum mechanics. Combining these two speculations we introduce a reduction principle that provides for the gradual reduction of a macroscopically ambiguous state and allows simultaneously for the occurrence of some psychokinetic effect in the process of observation. The resulting model leads to many of the paradoxical, but logically consistent, features of the psychokinetic effect that have been reported, and makes further testable predictions. The model does not touch on the more profound questions of consciousness. But the model implies that the result of a conscious observation, the collapse of the state vector, becomes accessible to the experimenter, with the psychokinetic effect as probe: Whether Schrödinger's cat has not or has collapsed the state vector determines whether or not the later human observer can still exert a psychokinetic influence on the result.